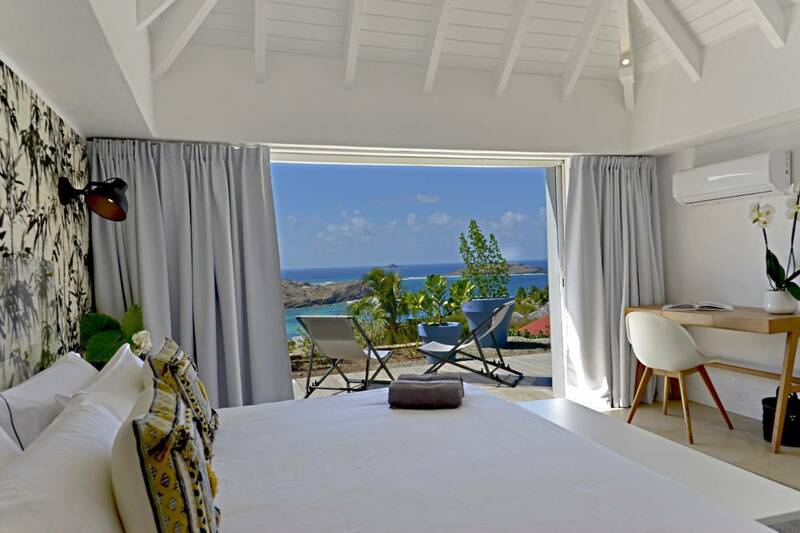 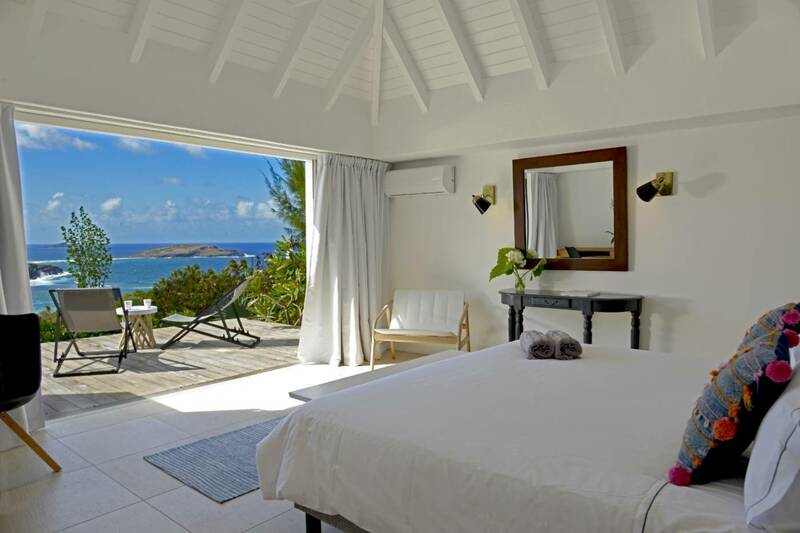 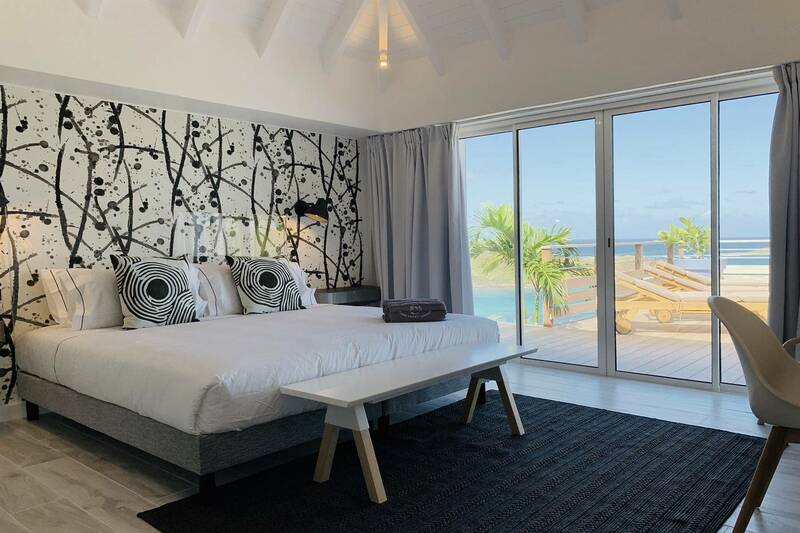 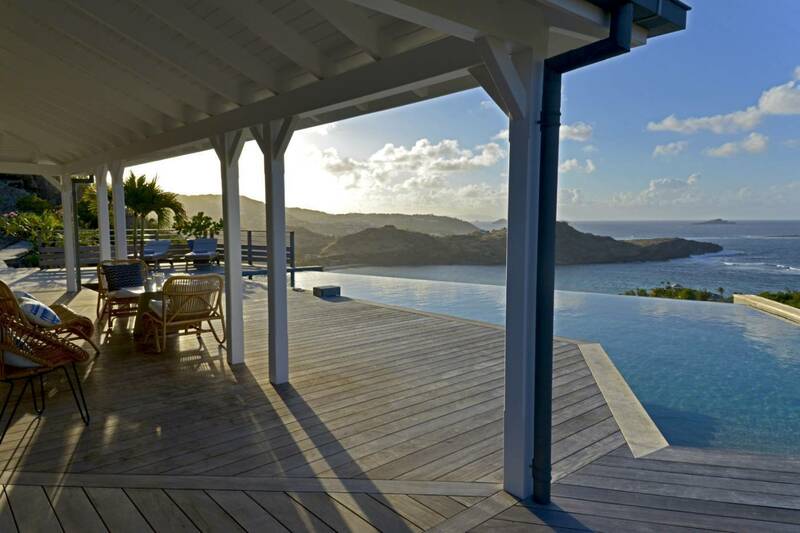 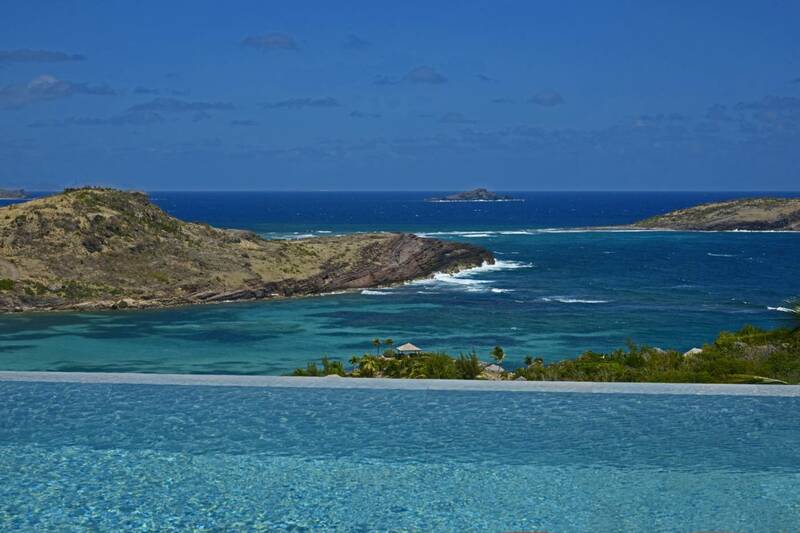 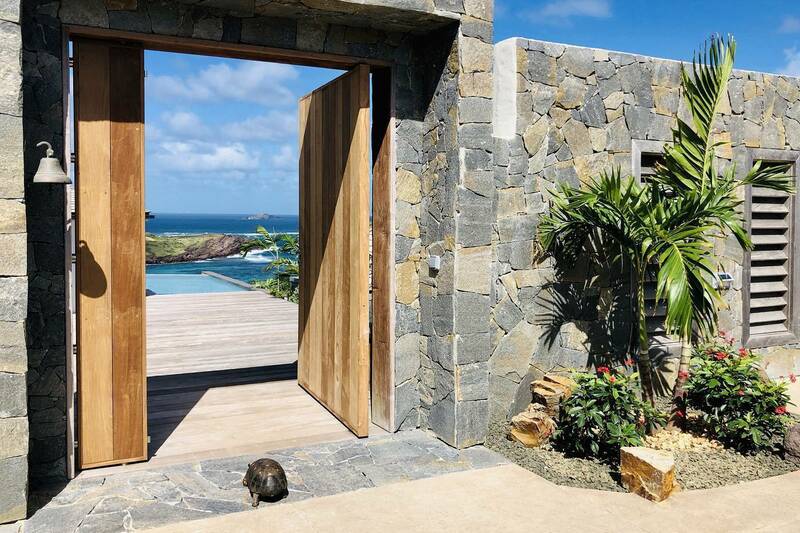 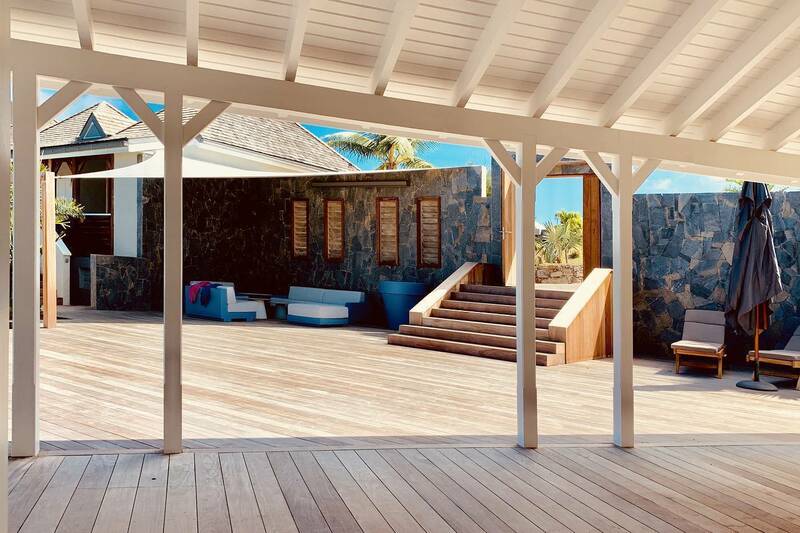 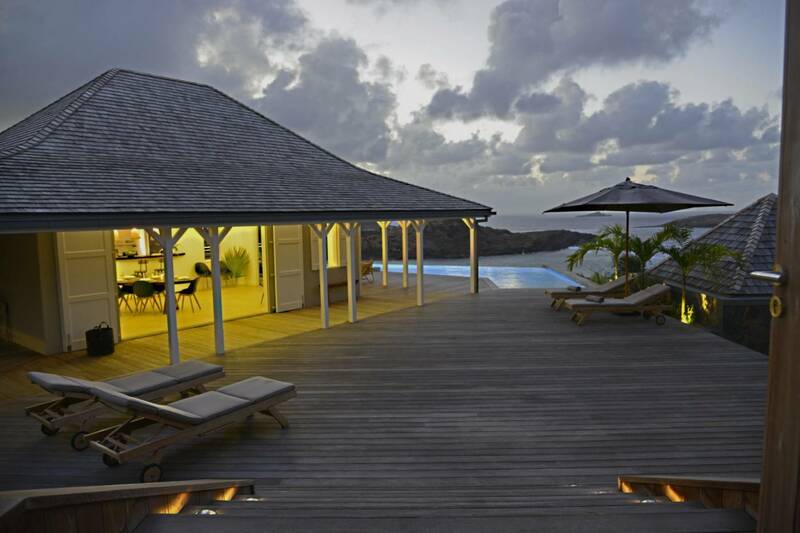 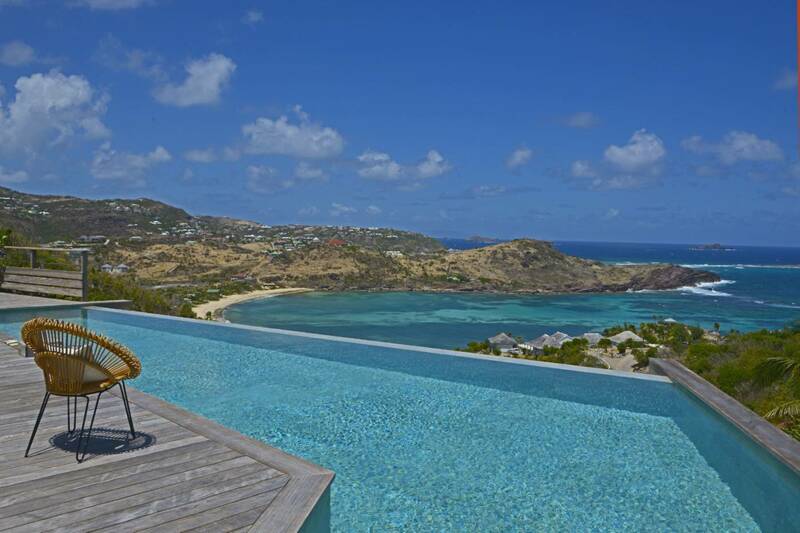 Dream About: Sharing a memorable St. Barth villa vacation with 5 bedrooms full of family and friends. 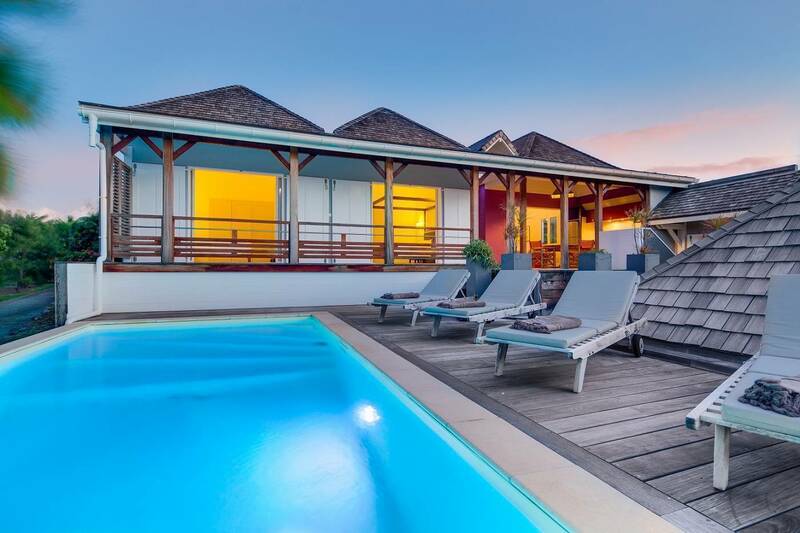 Located in the exclusive gated community, Domaine du Levant, Indigo is a two villa, 5 bedroom compound, and just perfect for an extended family. 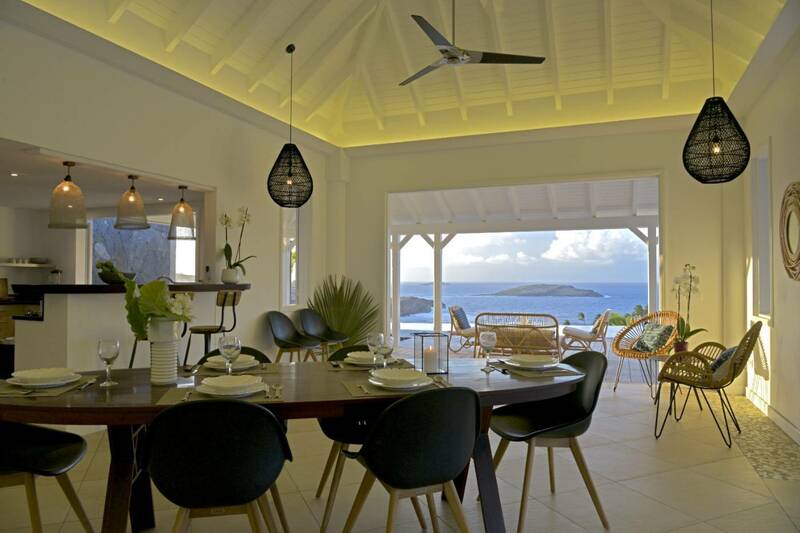 And wonderful for entertaining! 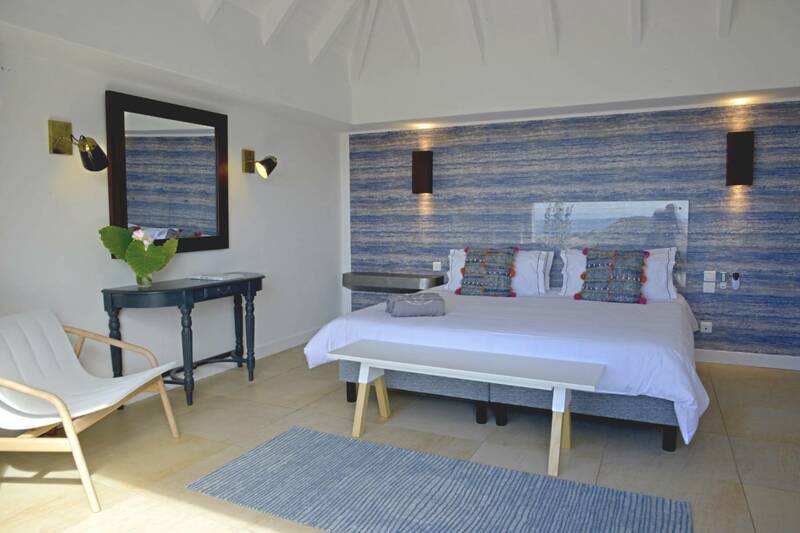 The larger villa has 3 identical king/twin bedrooms with baths en suite; two are housed in a separate pavilion just down a level from the pool. 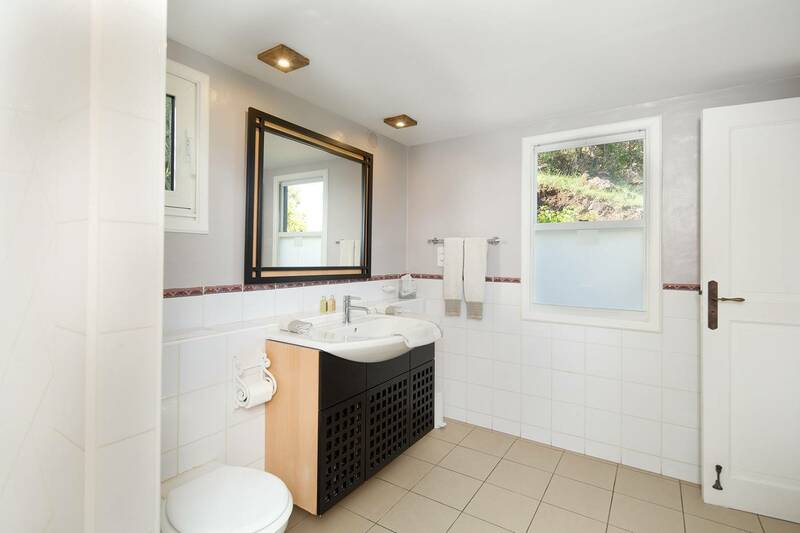 There is a guest bath on the main level for convenience. 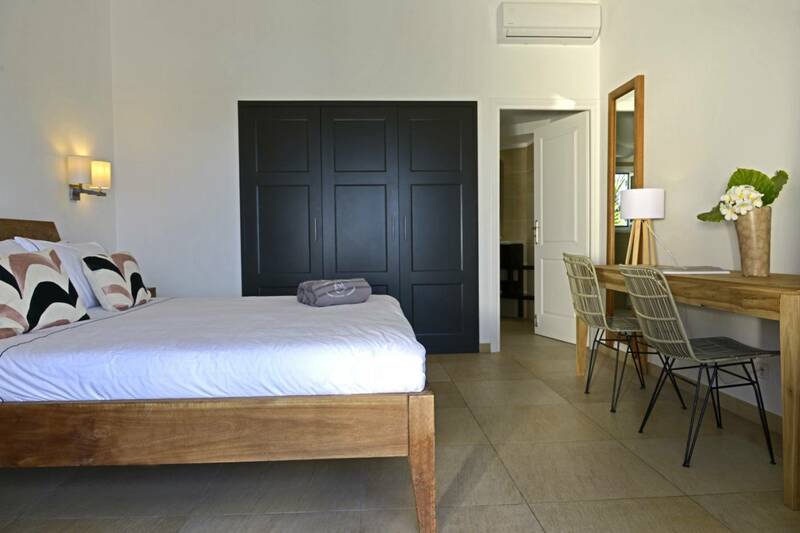 A well-equipped kitchen and dining area are adjacent to a spacious comfortable living room with a plasma TV. 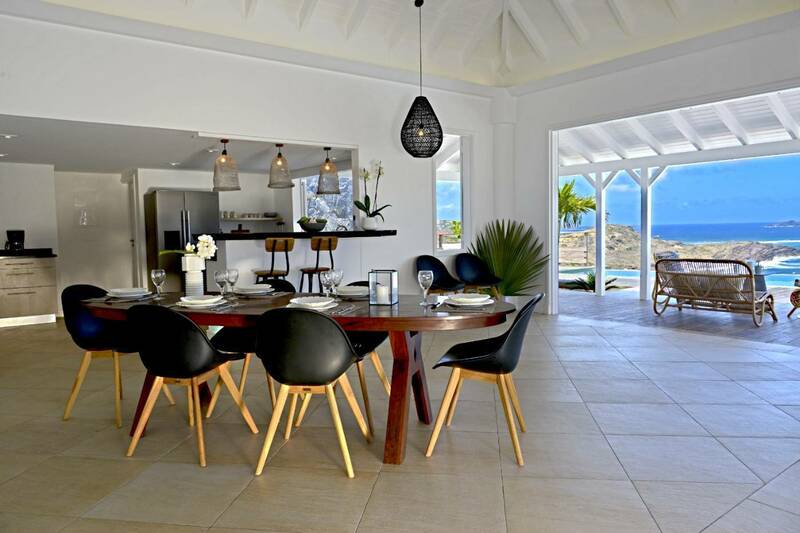 The décor is chic and provides a nice tropical ambiance. 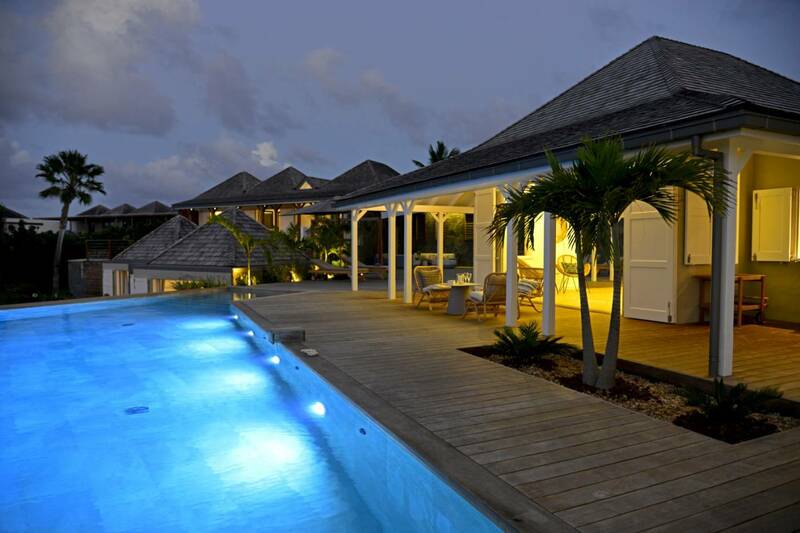 Outdoor living and dining areas meander around a lovely pool. 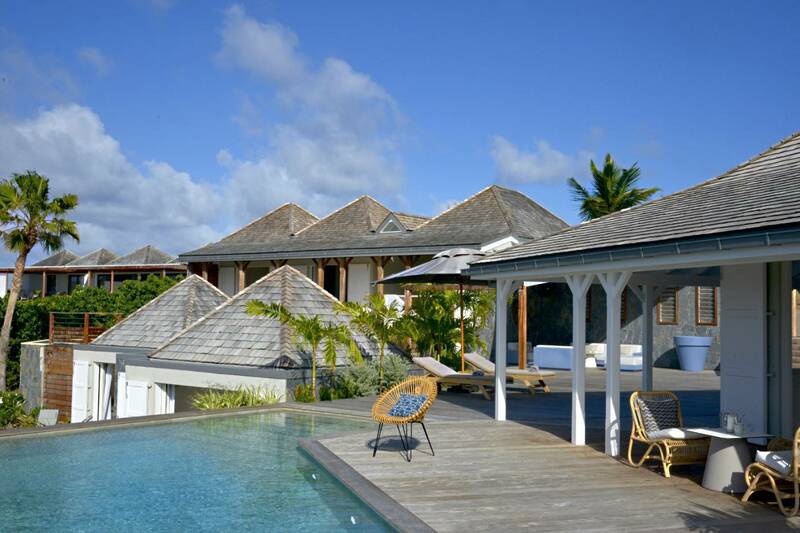 The views of Petit Cul de Sac are a delight and guests particularly enjoy dining alfresco on the poolside terrace. 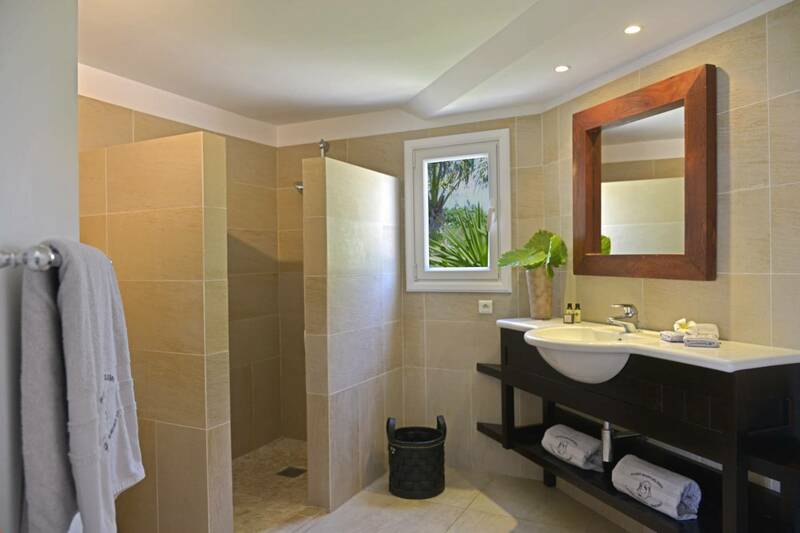 The second villa connects to the main house but provides its guests a nice level of privacy. 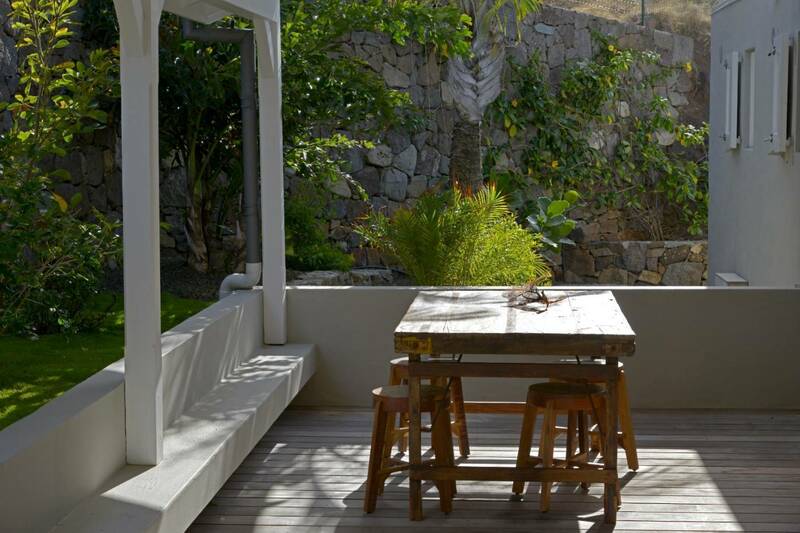 There is a compact kitchen and living area and it enjoys its own pool and a pretty terrace. 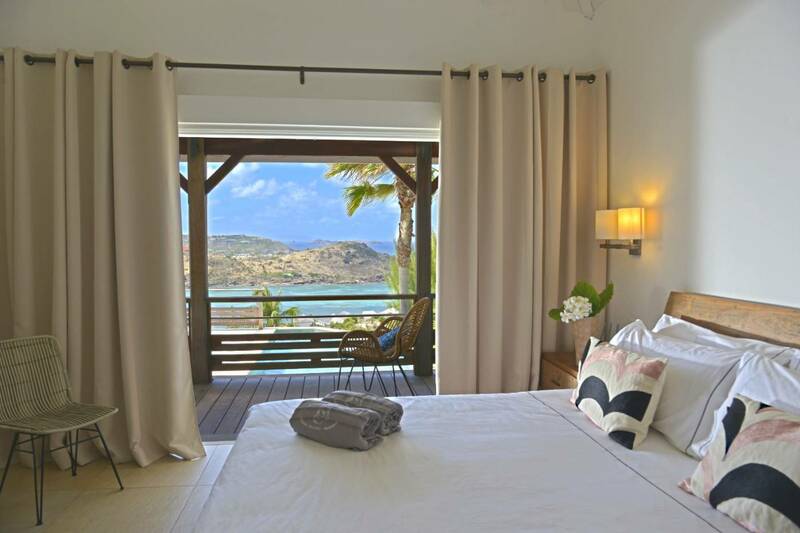 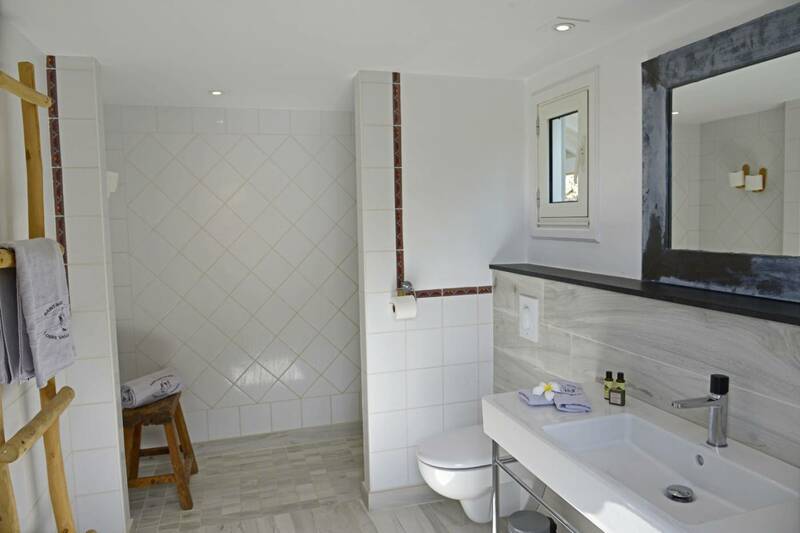 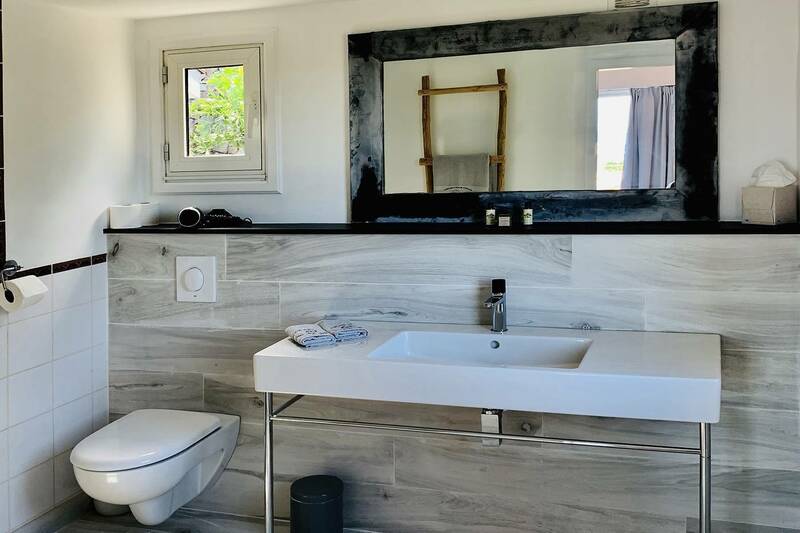 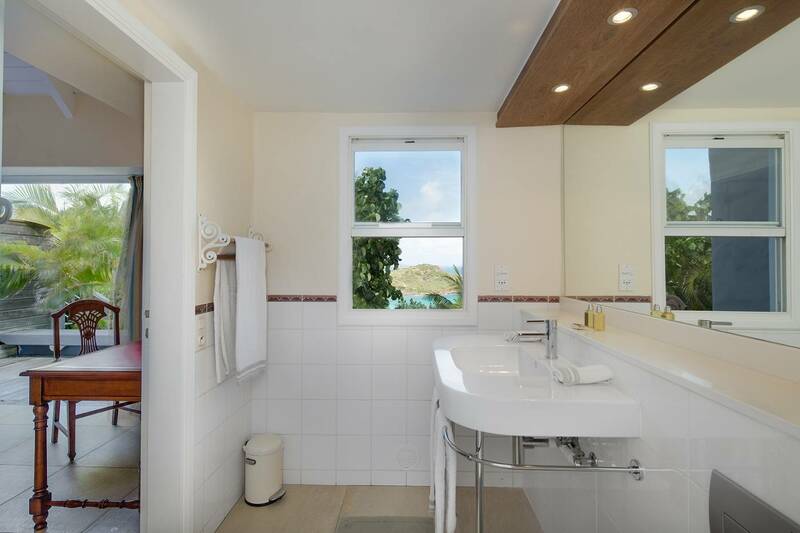 The 2 bedrooms (identical king/twin) have baths en suite and the villa shares the delightful views. 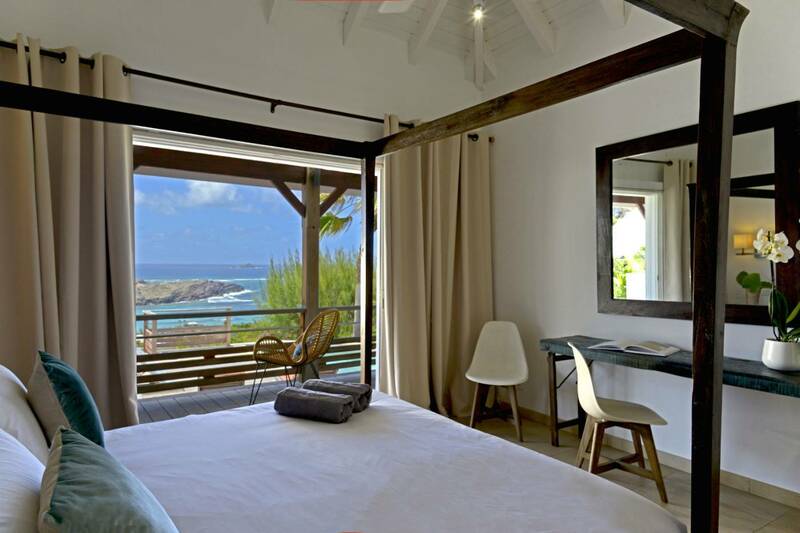 The short walk (steep) to the beach at Petit Cul de Sac is an added bonus that guests love. 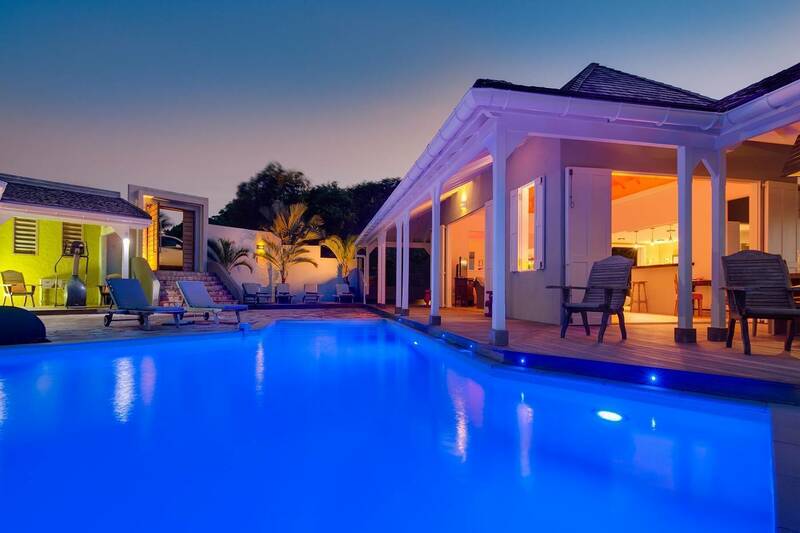 A waiver must be signed stating that all guests at the villa know how to swim. 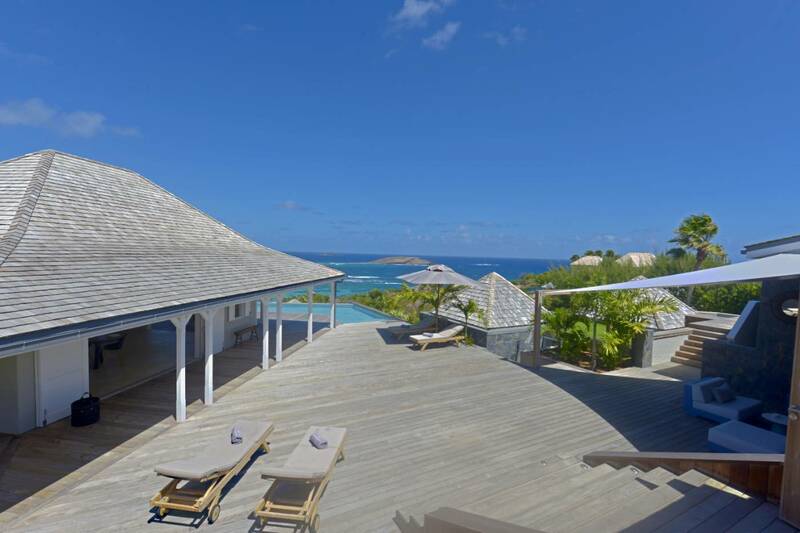 A two villa compound in the exclusive gated community Domaine du Levant; outdoor living space meanders around the pool. 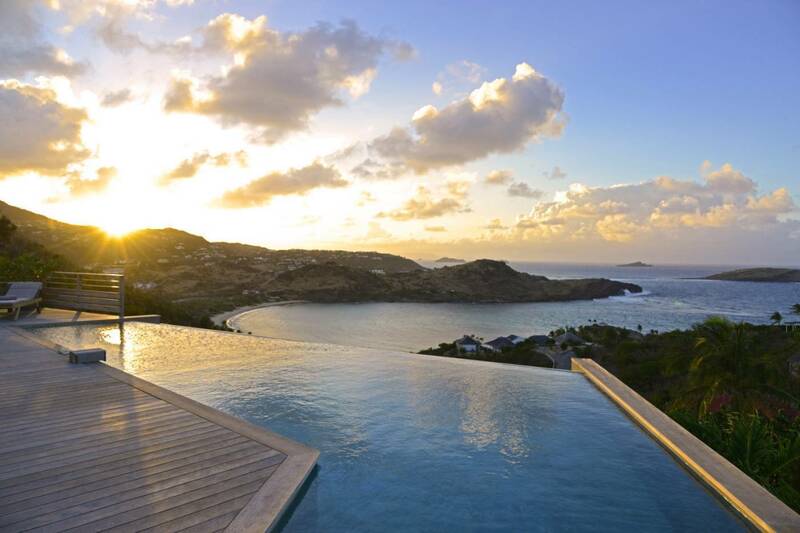 Delightful views!